inPhoto ID PS / inPhoto Capture PS is very easy to install and run. Canon PowerShot ELPH 190 IS (IXUS 180). SD memory card (from 64MB up to 32Gb). 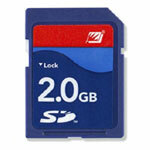 You can use for example SanDisk Standard Secure Digital Card or any other SD memory card available in all photo shops. 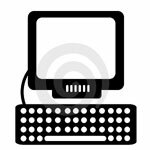 - It is necessary to have the card reader connected to PC (or built-in). Card reader connected to PC (or built-in). 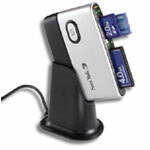 One of the recommended card readers is SanDisk ImageMate Multi-Card USB 2.0 Reader/Writer (SDDR-199-A20). The card reader will be used to program the camera SD card. To install and run inPhoto ID PS the following simple operations shall be performed. 1. DOWNLOAD inPhoto ID PS Setup file. 2. Insert SD memory card to your camera and capture a photo. Remove SD memory card from your camera. 3. Install SD memory card to the card reader connected to PC (or built-in), run inPhoto ID PS Setup and follow all its instructions. 4. inPhoto ID PS will be installed and SD camera memory card will be programmed. Once you installed inPhoto ID PS software on your computer, you can run it as TWAIN driver and have an ability of direct image capture from within Incardex and all other third party TWAIN compatible software. To be controlled with inPhoto ID PS Canon Powershot camera shall be used in Automatic (A) or Program (P) mode. 1. DOWNLOAD inPhoto ID PS and Card Preparation Utility for inPhoto ID PS. Please contact info@akond.net to receive the download link. 2. Install SD memory card to the card reader connected to PC (or built-in), run Card preparation wizard and follow all its instructions. 3. Install inPhoto ID PS. Once you installed inPhoto ID PS software on your computer, you can run it as TWAIN driver and have an ability of direct image capture from within Incardex and all other third party TWAIN compatible software. 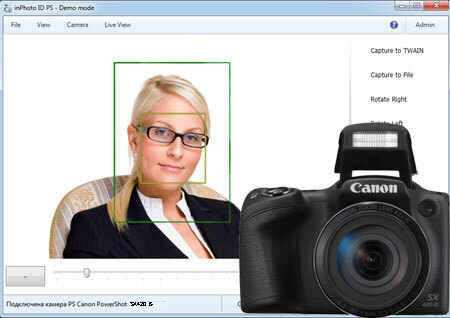 To be controlled with inPhoto ID PS Canon Powershot camera shall be used in Automatic (A) or Program (P) mode.